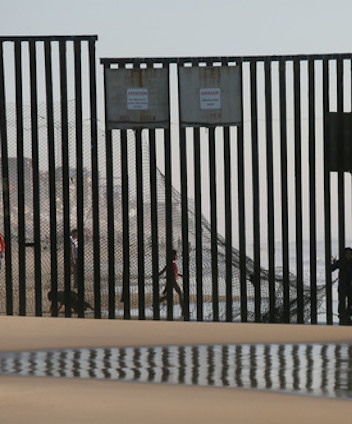 CALEXICO, CA (THECOUNT) — A man attempting to enter the United States illegally has fallen from a new 30-foot high wall in California, breaking both his legs. Border Patrol surveillance video shows the man lying motionless on the ground after tossing his body over the bollard-style barrier Sunday night in downtown Calexico, east of San Diego. Paramedics determined that the man broke his legs and may have injured his back. He was taken to a hospital in Palm Springs. The government is replacing a 2-mile stretch of barrier made from recycled metal scraps and landing mat with the new bollard-style wall.